Fire Truck Building Blocks Just $18.39! Down From $82! Shipped! 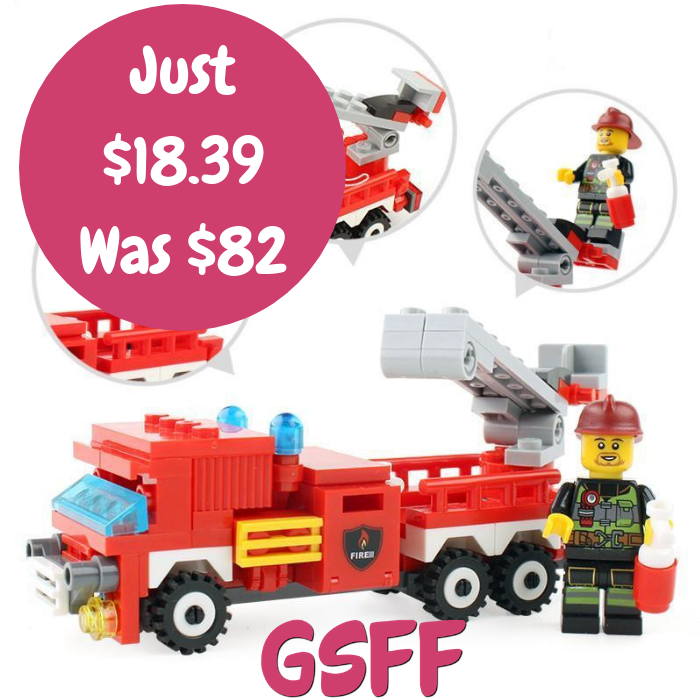 You are here: Home / Great Deals / Fire Truck Building Blocks Just $18.39! Down From $82! Shipped! For a limited time only! Overhalfsale.com is currently offering this Fire Truck Building Blocks for just $18.39 down from $81.99 when you use promo code BLACKFRIDAY at checkout! PLUS, it’s FREE shipping! Create and enjoy endless fun with the all new 4-in-1 Transforming Fire Fighting Truck Building Blocks. This building block set allows you to build a full fledge firetruck that can be turned into four different moving parts including a helicopter and boat. This is the ultimate toy to extinguish all the pent up energy in kids. It’s a great gift idea!